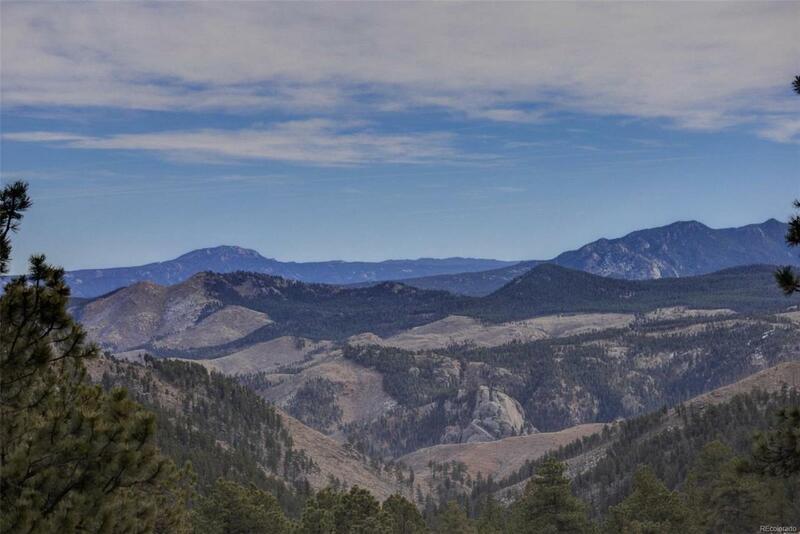 46 acre Mountain & Valley ranch with 5 Bedrooms and separate Historic Log Cabin both with Unlimited Potential minutes from 285 and an hour to Denver. 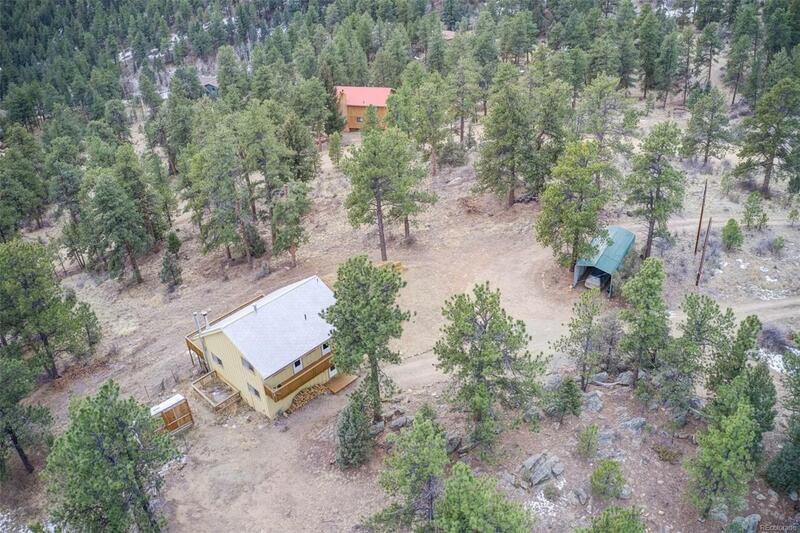 This amazing property has 1.2 miles of private road that snakes around from the Main House at the top of the mountain into the Valley past the Cabin continuing to the Horse Corral-2 acre enclosed horse corral with dedicated water line and animal shelter. This private road makes the entire property accessible to hiking or further development. 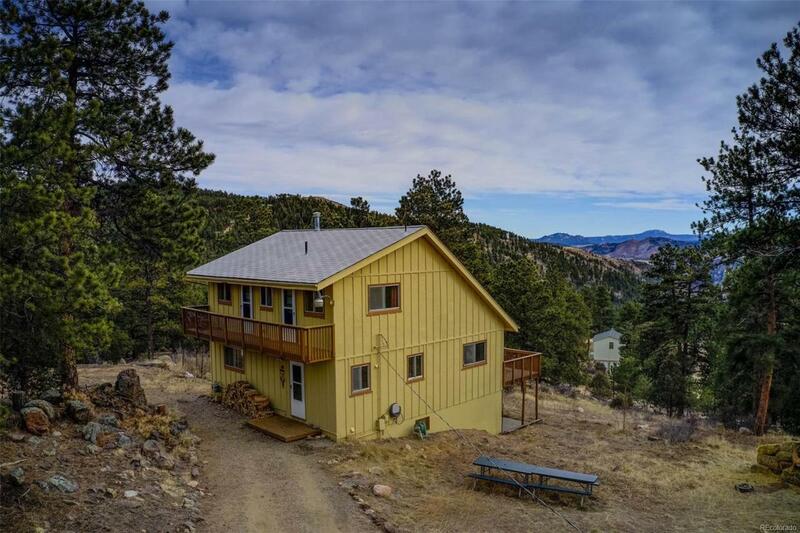 Main house sits on a mntn-top laced with quartz and overlooking a range of mountains and forest with a large porch overlooking the most private views plus private balconies off the bedrooms. 900 ft flat grade driveway leads to house. 2000+ finished sf on 3 levels plus basement/lower level is a walk out. Used as yoga retreat. 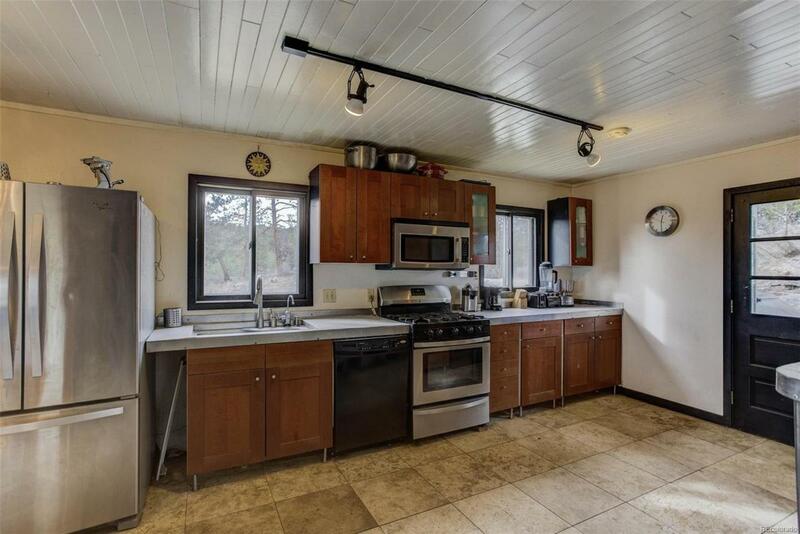 Wood fireplace, central heating, custom kitchen with huge island perfect for gatherings. MUST SEE VIRTUAL TOUR. CLICK ICON OF MOVIE REEL UNDER PICTURE.